Brand8 PR has been appointed by logistics service provider Torque after a three-way pitch. The Leeds agency will be responsible for reputation management among clients, employees and suppliers, and will also provide support on CSR initiatives. 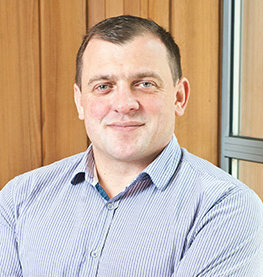 Brand8 PR managing director Rob Smith added: “Torque is a very successful business and one that is directly challenging the larger players in the logistics sector. The company does not want to be the biggest, but it would like to be the best, and sets itself apart by being able to integrate business-savvy strategic thinking with cost savings, excellent service and bespoke logistics technology. Smith, a former Fuse8 PR director, launched Brand8 in 2010. Other clients include Gordons Solicitors, Inspire Bradford Business Park and the White Rose Shopping Centre.